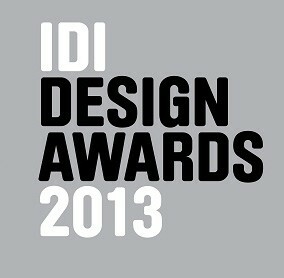 I had the pleasure of judging the Institute of Designers in Ireland (IDI) Awards 2013 last week. It was fantastic to see the work submitted across a range of disciplines, and work alongside fellow judges Mary Ann Bolger, Jane McDonnell, Rory Dodd, Max Kisman and Tadhg O’Driscoll. The Annual Institute of Designers in Ireland Awards celebrate and recognise the very best of Irish design. It’s the design industry’s foremost showcase of excellence; proof positive that the Irish design industry continues to operate on an ever-improving scale. The Awards are all about improving our collective skills and expanding the parameters of innovation and creativity. They’re also all about showing that clients get exceptional design bang for their buck when they invest in the work of Institute members. The central feature of the Institute of Designers in Ireland Design Awards this year is a comprehensive exhibition of the best of Irish design. From the 220 entries the judges have selected around half the entries for exhibition. The exhibition will be held in the NCAD Gallery, National College of Art and Design, from 8th to 22nd November. The exhibition will be one of the anchor events of Design Week, which runs from the 4th to the 10th of November and promotes design related events taking place on the island of Ireland.